STAG Software - Clean Software. Guaranteed. Our mission is to make a lasting impact to the software engineering community in the way software defects are detected. Our focus is on building methods and tools to enable SMART ASSURANCE of systems. We offer assessment, implementation and advisory services covering product quality, organization practice and people skills. 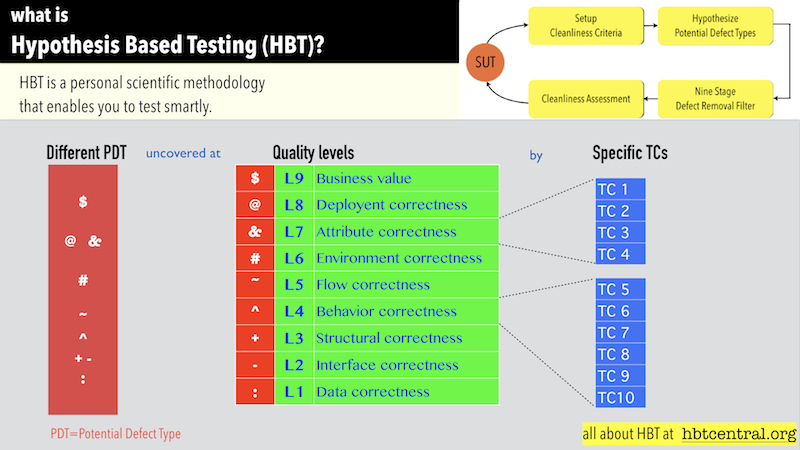 All our solutions are powered by HBT the personal scientific test methodology. Found MORE, prevented some. Do more. LOWERED support cost. OPTIMIZE tests. Do less. Lowered test cost. Automated tests. Do FASTER. Lowered test cost. Better strategy. Do SMARTER. Optimize spend. Our specialist solutions enable you to deliver clean software via robust validation, make your practice smarter, and transform people by equipping them with modern scientific techniques. 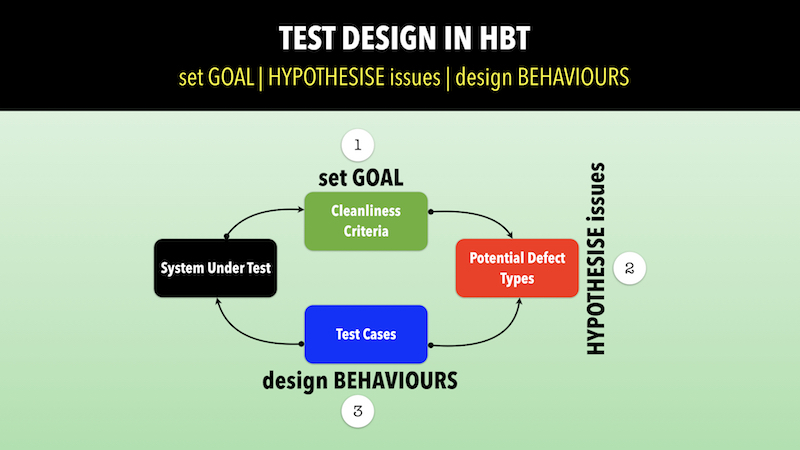 The solutions are powered by Hypothesis Based Testing (HBT), our scientific test methodology. Being your specialist QA team, testing specific releases, development of automation scripts, build custom tooling, assess performance/ load handling, mobile and device validation, potency assessment/improvement to enhance test effectiveness and yield enhancement via immunity analysis. 'Supercharge' DevTests by enabling developers to validate code rapidly, effectively and mos timportantly without disrupting the rhythm of coding. Your dedicated specialist QA team onsite/offsite taking accountability for entire testing & automation requirements for the product/application covering all applicable test types. Validate a specific release for your product or act as third party assessment for acceptance of application developed by an external agency. 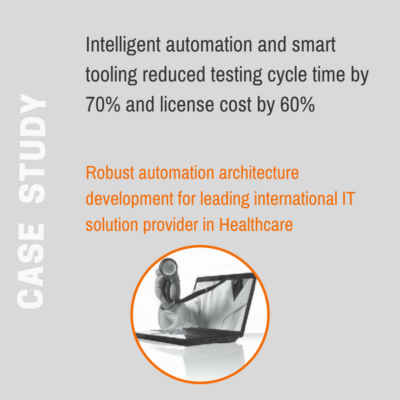 Develop custom tooling to facilitate automation. Develop automation scripts for functional testing be it API, web UI or mobile apps. Validate the load, stress, performance, scalability of platform/web applications. 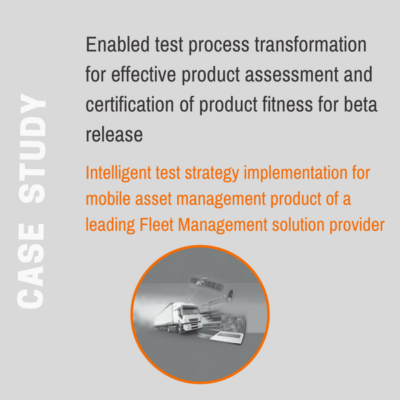 Validate mobile applications, devices with embedded software as a specialist QA partner. Assess effectiveness of pre-existing test cases (i.e. POTENCY) to improve test effectiveness. 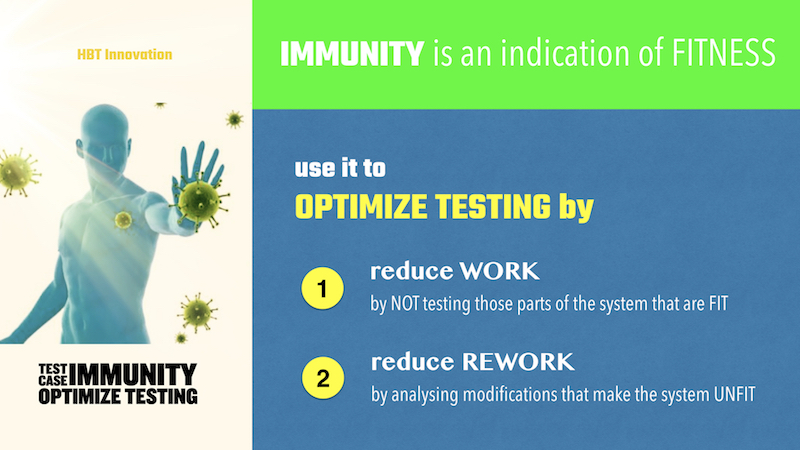 Assess test yield (IMMUNITY) to improve test efficiency. Assessment & advisory, HBT methodology adoption for Smart QA and early stage assurance of requirements, design and dev quality. State of practice assessment (SOPA) and implementation/advisory to significantly enhance QA practice/process. Enable adoption of HBT into the practice for smart QA and ensure sustenance by creating HBT Champions. Install early stage assurance practice using HBT based IP solutions for Requirement, Design and Dev QA. Assessment of competencies/skills, masterclasses/workshops based on HBT and enabling implementation of HBT via indoctrination. This is done via CleanSoft Academy, a business unit of STAG Software. See CleanSoft Academy for details..
Competency/Skill assessment for smart hiring, talent improvement and growth potential assessment. Specialist classes on Hypothesis Based Testing, Test design, Rapid understanding & Immersive Session Testing. A TWO-day HBT masterclass to facilitate deep understanding with FOUR sessions of consulting to ensure successful implementation. Our work done with various customers over the years. We are in the east side of Bangalore, in a quiet cul-de-sac off the bustling main road that leads to the biggest & oldest IT park in India. Visit us, we promise you a good cup of chai! 113/1B SRIT House Block-2, 2nd Floor, ITPL Main Road, Kundalahalli, Bangalore 560037.